Because of our faculty’s dedication to student success, mentorships tend to flourish, thereby deepening our Spiders’ collegiate journey. We’re extremely proud this has become an identifiable trait of a Richmond education — and one that warrants inclusion in national publications — as well as of those professors who are leading the charge. 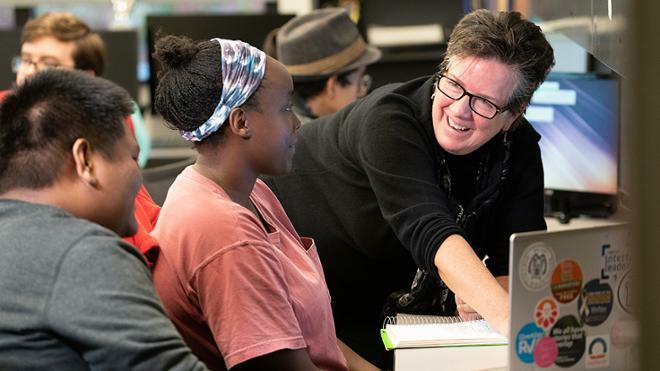 We’ve shared news about chemistry professor Carol Parish before, and this time her commitment to mentorship is highlighted in The Chronicle of Higher Education, a leading education publication. She has mentored 100 students in her lab over the last 20 years. She told The Chronicle that students learn fundamentals in the courses, but “it isn’t until they go into the lab and see those fundamentals come to life that it becomes much more interesting and compelling." We know the importance of faculty/student relationships, so we love it when our professors are recognized for their role in transforming our undergrads’ lives.